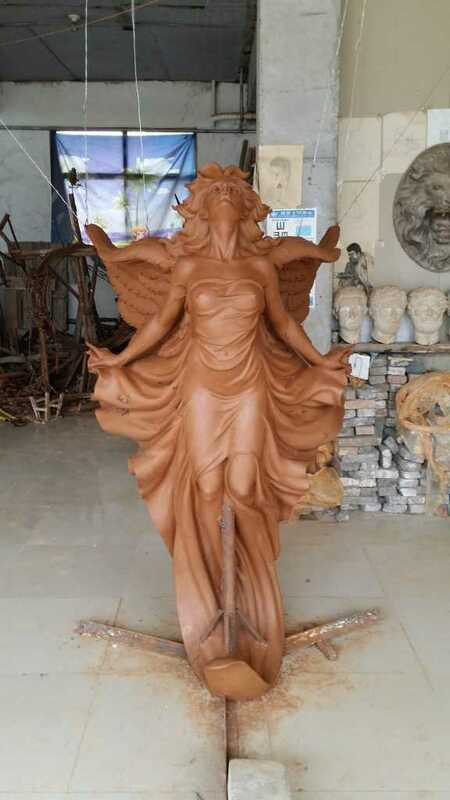 We have made a bronze girl statue for our America customer in July 2016. 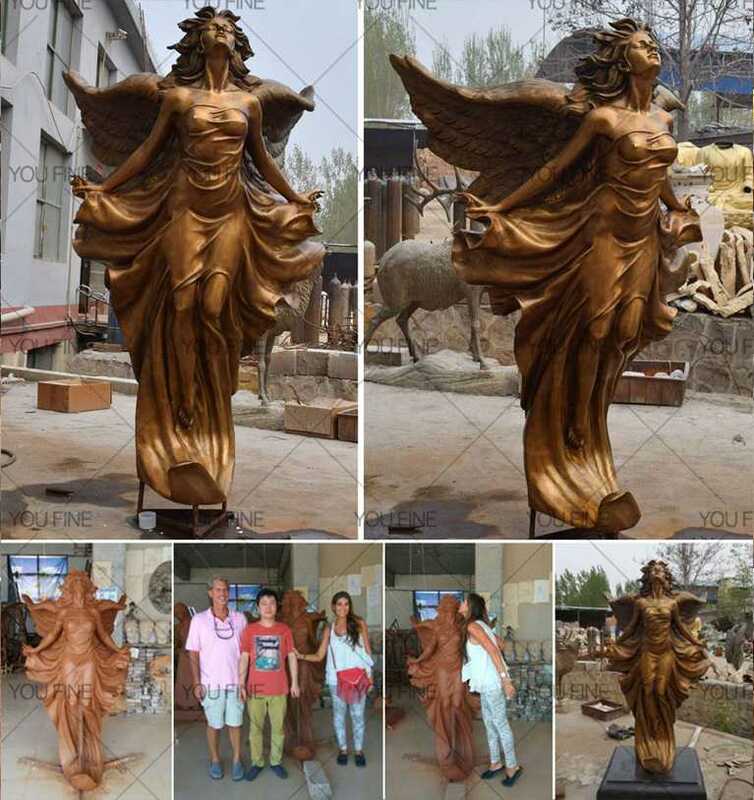 The height of the bronze statue is 2 m.First, we did a clay model, the bronze girl is very special.Focusing on custom made bronze statue since 1983,and if you have some requirement or some knowledge about bronze girl statue,please contact with us,we are the best choice of you ! 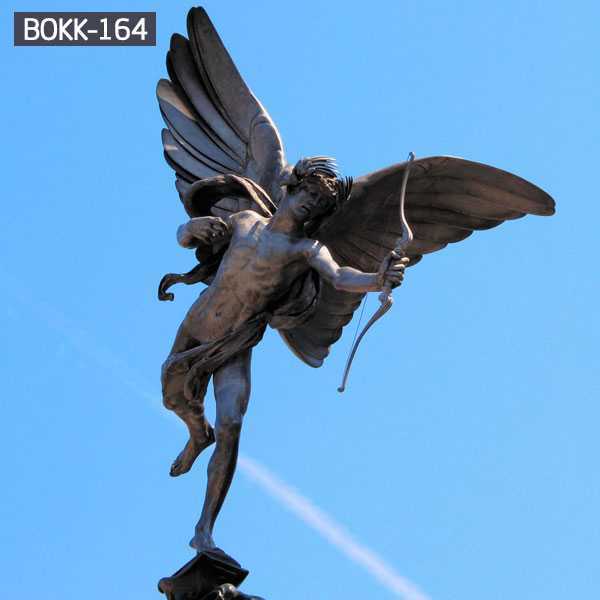 We have made a bronze girl statue for our America customer in July 2016. 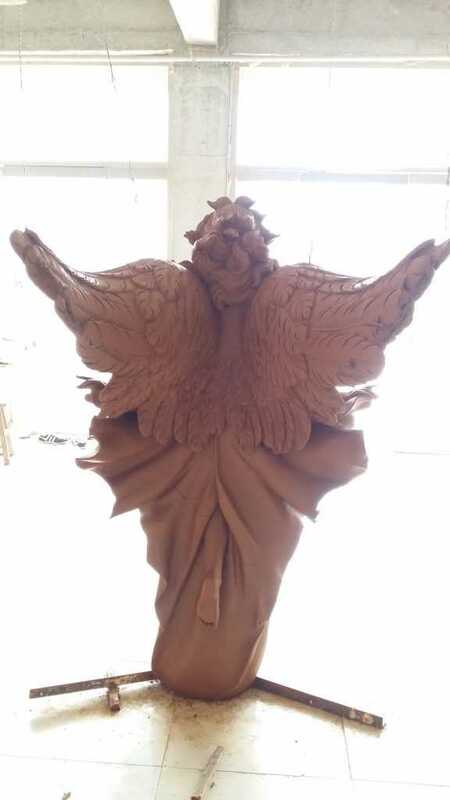 The height of the bronze girl statue is 2 m.First,we did a clay model, the bronze girl is very special.Her posture is flying, and her clothes was blown up, these all details need to be carved carefully. Besides, her wings and feathers are very important. It also need to be carved meticulously.The following photos are the clay molds. 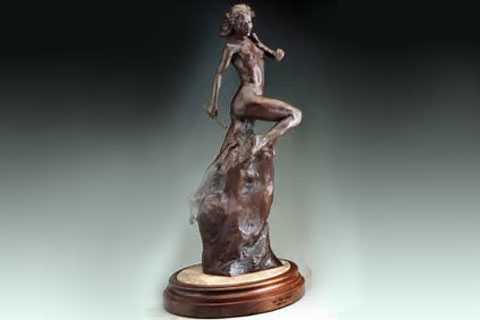 This bronze girl statue gives us a feeling of flying. 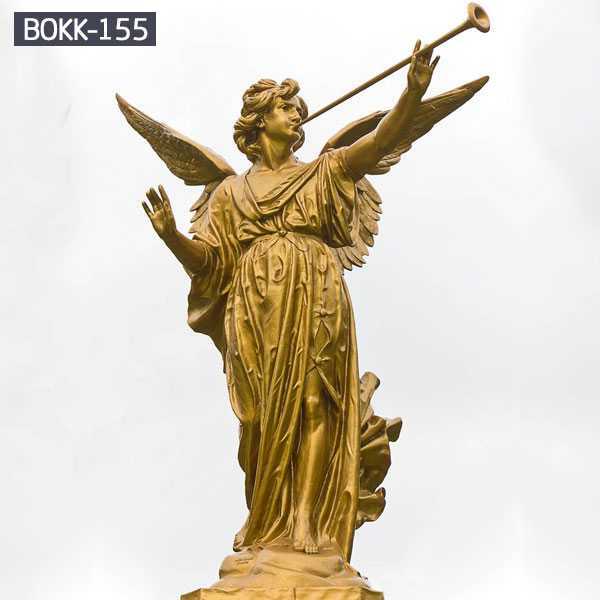 The girl close her eyes and raise her head.She is enjoying the flying feeling, and our master caved the feeling vividly.As follow is the opposite clay mold of the bronze girl statue. 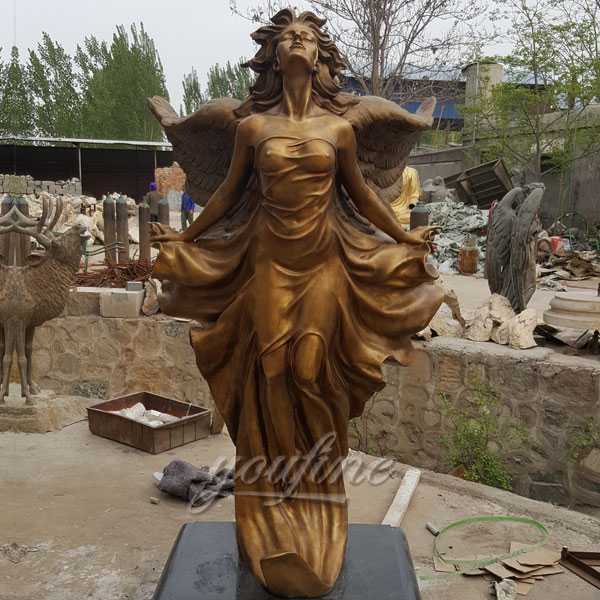 Most clay molds of bronze girl statue he carved very successful.Our customer so satisfied, she expressed her appreciation to our master. 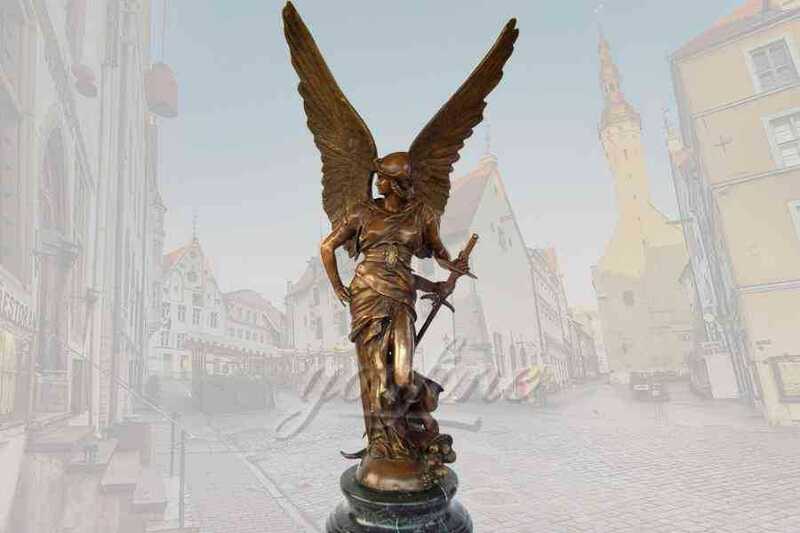 Focusing on custom made bronze statue since 1983,and if you have some requirement or some knowledge about bronze girl statue,please contact with us,we are the best choice of you !